I spent the last two weeks analyzing picture books in the context of Christie Wright Wild’s Top Ten Story Elements. And it was fascinating. I learned a lot about patterns, rhyme, character, and all the other things that make picture books great. But it also got me thinking about picture books in a new way. I started thinking more about length and structure – both in what I like to read, and what I like to write, and so I thought I’d share my realizations. When it comes to PB length, we’ve all heard it – less is more. Nowadays it seems like many agents and editors won’t even look at PBs over 500 words. The books I looked at over the last fortnight (sorry, couldn’t resist, how often do you get to use the word ‘fortnight’?) ranged from a meager 154 words to a verbose 1716. They are all books I like, books I enjoy reading to my kids. But my favorites definitely fall in the 600 – 900 word range. Longer than that, I end up paraphrasing or parsing chunks altogether (resulting in stories in the 600 – 900 word range) in order to hold my kids’ attention – especially the two-year-olds. And the shorter books? Well, of the ones I studied, most of the shorter books were set up in more of a comic-book style, with dialogue making up 100% of the text*. They’re also (mostly) written by author-illustrators. And while they’re funny and enjoyable, they’re not my style to write. What is it that draws me to longer books? Well, I think it’s the mix of narrative and dialogue. The sense I get of reading a ‘real’ story. The mid-length books offer enough repetition to amuse the kids, but have enough other words to stop me as an adult from getting bored with them. And these are the kinds of books I like to write. The PBs I’ve written (and hope to one day get published) all fall in the 600 – 750 word range, with a mix of narrative and dialogue, but plenty of room for illustration. What about you? 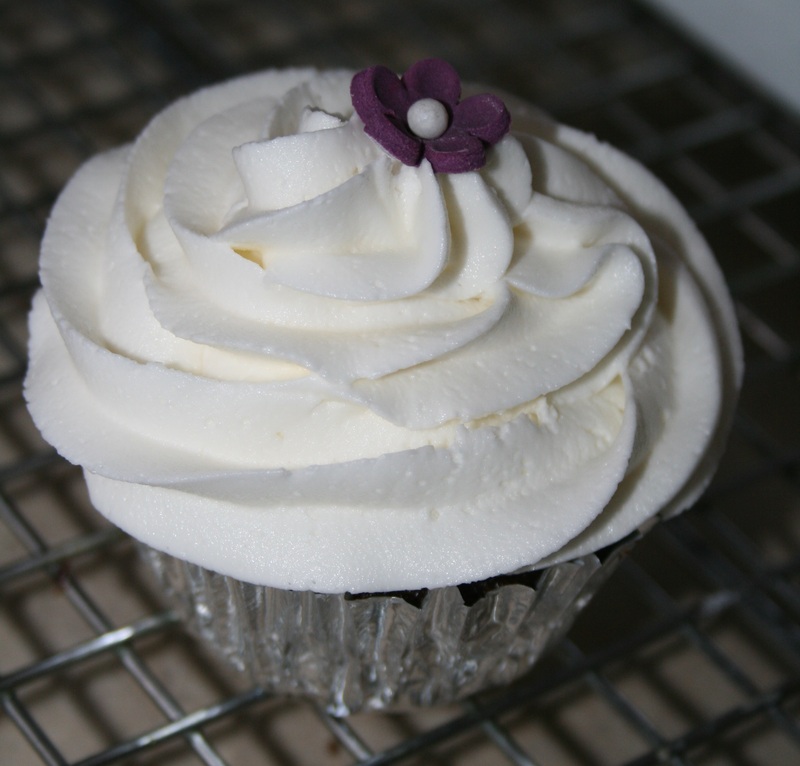 What’s your sweet spot? What length PBs do you gravitate toward writing and reading, and what draws you to them? Let me know in the comments. Summary: Really, the title says it all. It keeps us warm and dry down there. So give a cheer for underwear. Now, I know what you’re thinking – here I am using it as an example of rhyme, and Becker’s gone and rhymed underwear with underwear two out of three times. But that is where her genius lies. Read this aloud to a child. Better yet, to a couple of kids. I guarantee you by the time you get to the third repetition of ‘underwear’ they will have dissolved into giggles. (The only way it could have been better would be if she had used ‘underpants’ – it’s a funnier word – but there are fewer rhymes for that.) 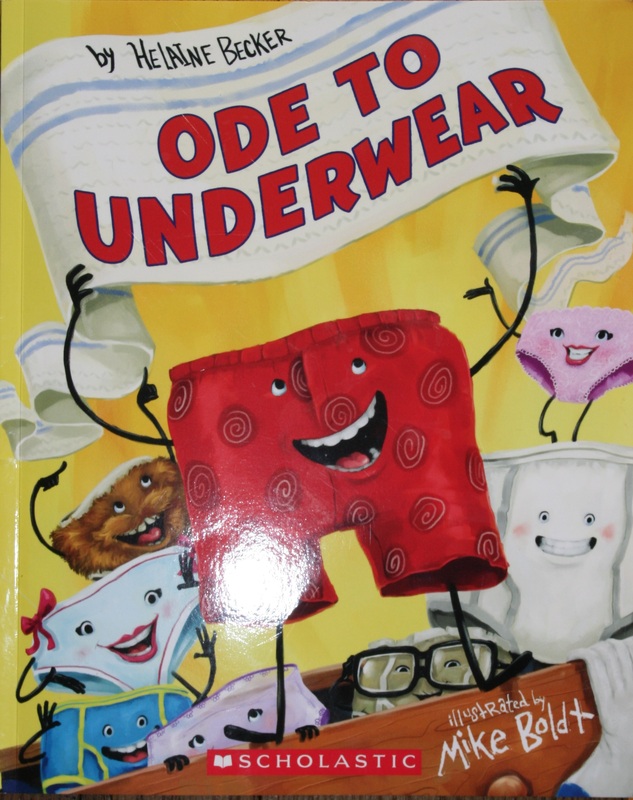 And although she uses the word underwear throughout the book, she doesn’t rhyme it with itself again. And give three cheers for underwear! Well, that’s it for 14:14. Tune in tomorrow to see some other musings inspired by reading all these great PBs. Summary: The sea monster living under Sophie’s bed has almost as many fears as Sophie herself. In order to get him out, she’ll have to help him overcome them, and maybe manage to overcome a few of her own while she’s at it. I knew I wanted to look at this book, but I had a hard time picking which story element to examine with it. I could have picked Theme (overcoming fears), Dialogue (some of the dialogue really makes the characters), or a few of the others, but eventually I decided to go with Character. “Sophie worried about wearing the right clothes to school. She worried about big dogs, bats, thunderstorms, snapping turtles, and losing her homework.” Notice how he starts with a very reasonable “worry” – wearing the right clothes, and builds to other pretty reasonable fears: bats, dogs and thunderstorms are all pretty scary. Snapping turtles are also scary, but I don’t know how often you’d encounter one. And losing her homework, well, that could be bad. But then he continues on page two, “She wondered what held the moon up and she worried that it would fall on her house. She worried about everything all the time. But most of all, Sophie worried that there was a sea monster under her bed.” In just three sentences Gillmor has turned Sophie from a regular girl with reasonable fears to a neurotic, but cute, kid. I love the way Gillmor then makes one of those irrational (if common) fears real – there really is a sea monster under Sophie’s bed – and it’s there because it’s scared of more things than Sophie is! 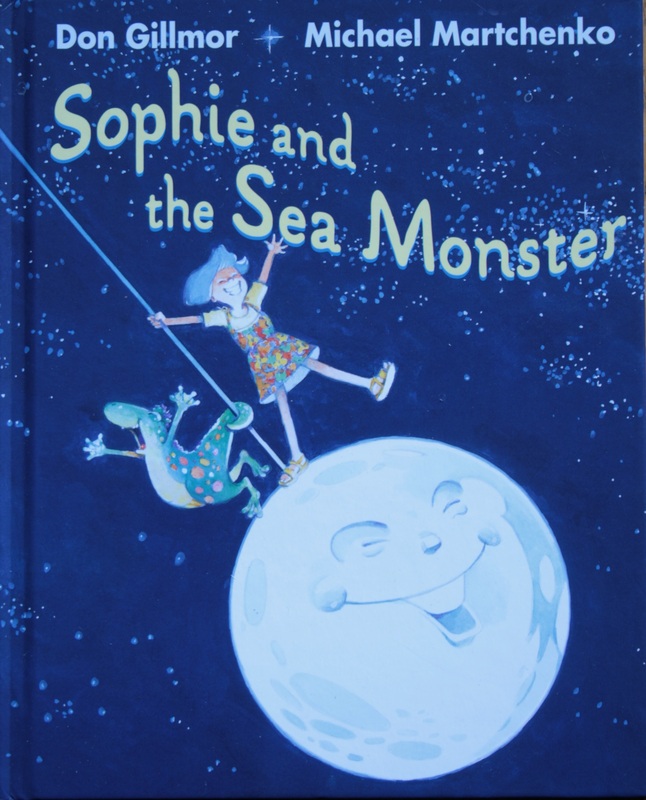 As Sophie tries to help the sea monster overcome his fears so he can move out of her room, she learns to overcome her own fears, growing as a character, and solving her own problem. This is a really cute book. I love Martchenko’s illustrations (as always, you heard me rave about him when I analyzed the Munsch books). I also love the way Gillmor manages to make Sophie’s parents and brother come to life with only a line or two of dialogue (when my kids get older, I imagine my husband and I will sound just like Sophie’s parents). My kids love the silly songs, and watching Sophie and the sea monster try to overcome their fears. If you haven’t read this one before, I suggest you check it out. 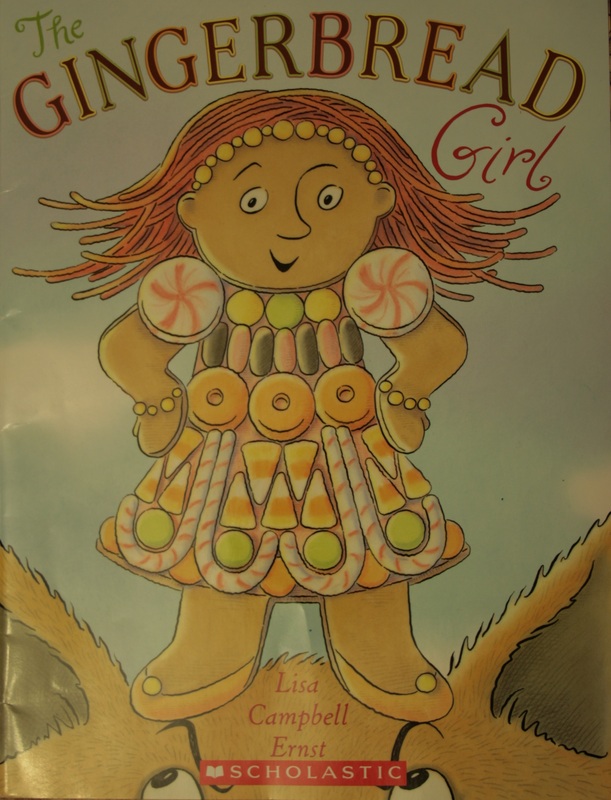 Summary: Just like her brother the Gingerbread Boy, the Gingerbread Girl runs away from the lonely couple who made her, but she’s determined to avoid his fate. This is a good book to examine the element of Pattern. The whole story is based on the fable of the Gingerbread Boy, and repeats the pattern laid out in his story: he runs away, encounters various animals and people who want to eat him, taunts them with his rhyme, and runs away until he meets a devious fox who tricks him into getting eaten. With a leap and a twirl. Every time she meets a new threat, the Gingerbread Girl sings a personalized taunt (eg. Like my brother, I’m fast! before continuing on with her teasing refrain. This continues until she meets the fox, and finally changes both her refrain and the pattern laid out by her brother’s story (but I’m not going to tell you how – you’ll have to read the book and see). Pattern is also visible in the illustration. Each spread (except the first and last) is split into a page of text and a page of illustration. The illustration page is an image of the Gingerbread Girl encountering new people/animals who want to eat her, while a banner across the top of the text page shows the rest of the people chasing her. As the story progresses more and more people and animals join the chase, until there are 30 pursuers above the text watching her encounter with the fox. My sons love the repetition of the Gingerbread Girl’s song, and always gleefully finish the refrain for me. It’s a cute little story, and one of the only holiday books that I didn’t pack away for the season. Title: Don’t Let the Pigeon Stay Up Late! Summary: It’s bedtime, but the Pigeon doesn’t want to sleep, so he tries every trick he can think of to convince you (the reader) to let him stay up late. I wasn’t going to look at two Pigeon books, but I just had to examine Willems’ use of Character (see my last Pigeon post) and Conflict. What I love the most about his use of Conflict in this book is that the conflict is between the Pigeon and the reader. The Pigeon gets more and more frantic, upping the tension until the final inevitable (well, to anyone who’s ever dealt with a child who wants to stay up, it’s inevitable) conclusion. My kids love getting to be the ‘bad guy’ in this book. 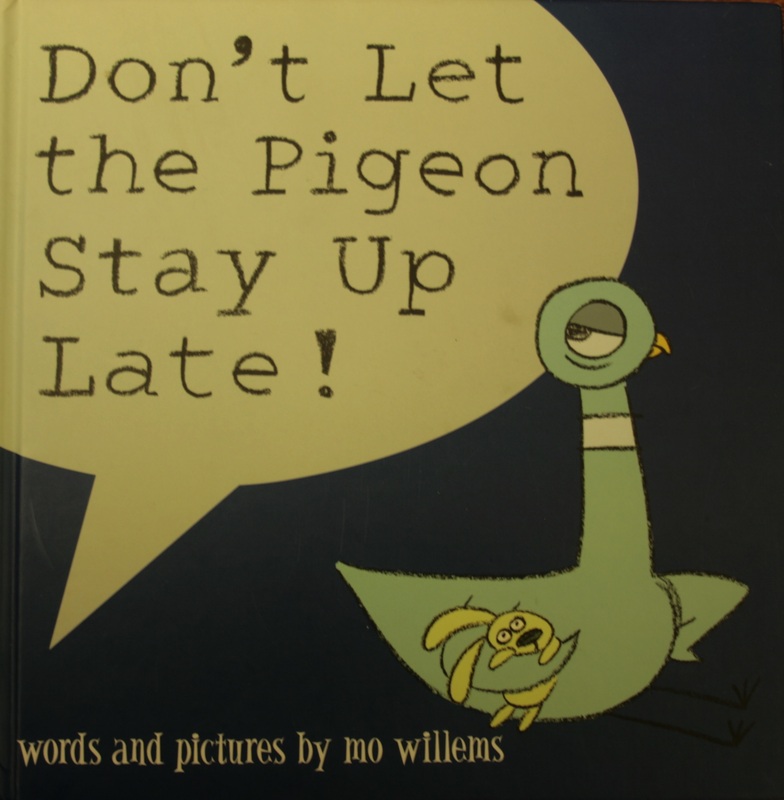 I’m certain they’ve tried just about every technique the Pigeon uses to stay up late, yet they love getting to be the ones to tell him “No!” This book is just too much fun, and a great read for bedtime. 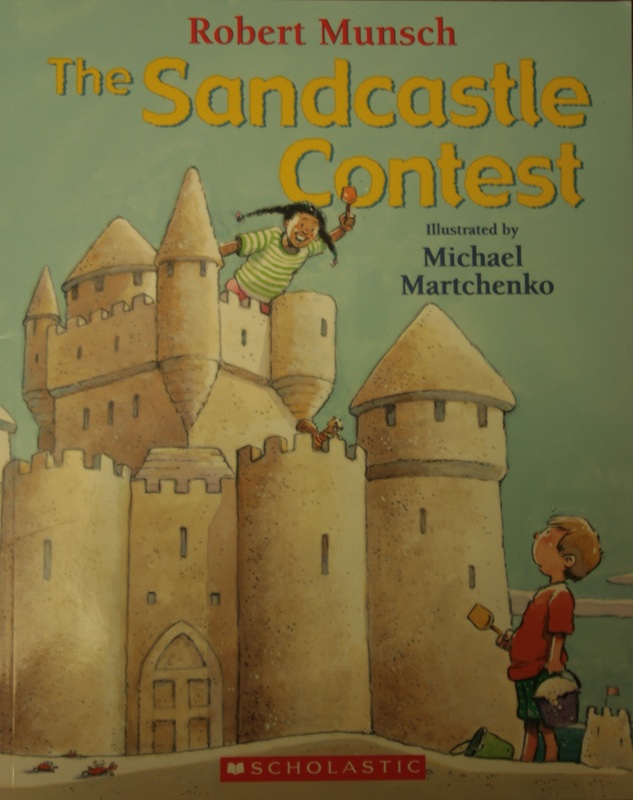 Summary: Matthew decides to enter a sandcastle contest, but his creations are almost too good to be believed. I chose to examine Beginnings and Endings in this book, partly because it has such a nice cyclical nature to it, and partly because I feel that talking about the ending doesn’t ruin the reading experience. Most of the humor in this book comes from the silly fun in the middle, and that’s the part I’m going to keep secret. If you want to find out what silliness Matthew gets up to in the contest, you’ll have to read it yourself. Spread 1 shows Matthew’s family getting ready to go camping. Matthew’s dad is checking the list to make sure they have everything. Matthew says they forgot the dog. Spread 2 shows the family driving away with their car and trailer packed full. But his mom promises they’ll stop at a beach to play in the sand. Spread 14 (last spread) shows the back of the car, pulling two (Well three, but I won’t give away that sight gag – but it’s in Spread 2 as well) trailers: the one packed full of camping gear, and the other is a sandbox on wheels, holding Matthew and his dog. And so the story comes full circle. The family is packed up and going camping. It’s a pretty silly story, but my kids love comparing the illustration in Spread 2 to the one in Spread 14. Martchenko is always amazing, filling his work with sight gags and references to other Munsch stories he’s illustrated. I just can’t say enough good things about the Munsch-Martchenko books. Summary: Fox and Squirrel are as different as can be…but there are a lot of things they have in common too – even if others can’t see it. For this book I decided to look at the element of Theme. The theme of the book is friendship. The text starts with Squirrel questioning why they are friends when they “are very different.” “Not that different,” Fox replies. 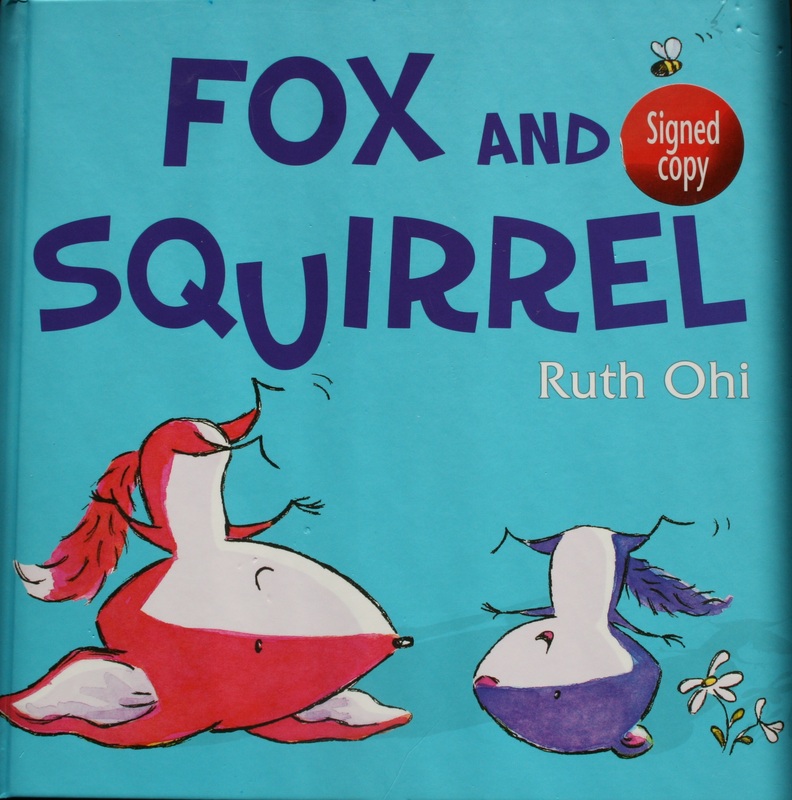 Each time Squirrel points out a difference, Fox reminds Squirrel of their similarities. But it’s the pictures that really illustrate the relationship between the two animals. Even though they’re arguing, Squirrel shares his snack with Fox, and helps warm him when he’s cold. And when Rat shows up and questions why the two are friends, they don’t hold a grudge against him. This book is sweet, and touching, and shows how people (well, animals, technically) don’t have to be carbon copies of each other in order to be friends.